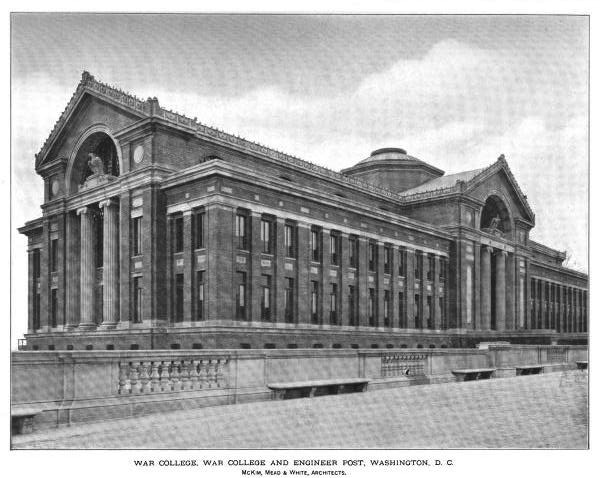 The National War College designed by McKim, Mead & White between 1903-1907 at Fort Lesley J. McNair in Washington D.C. 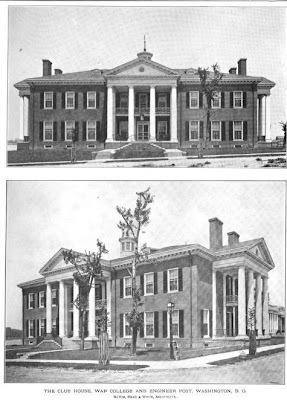 The National War College is part of the National Defense University, click HERE for more. 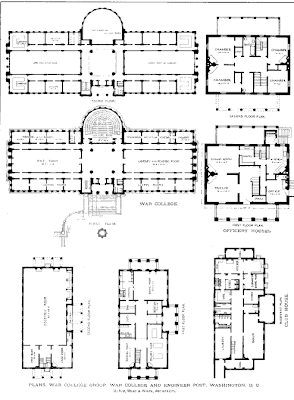 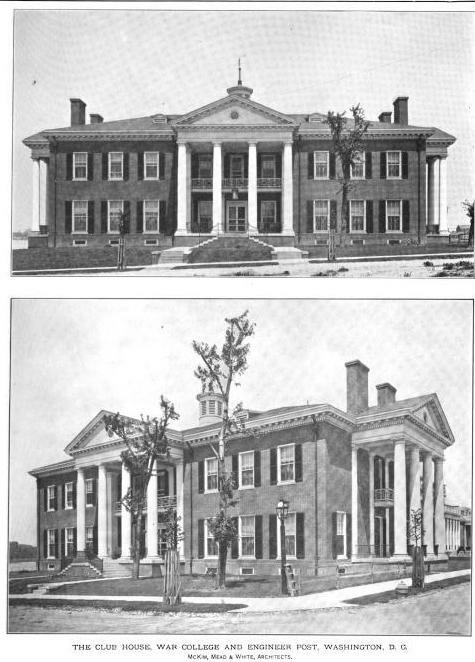 Above and below, Roosevelt Hall, designed to be the center of a school for senior U.S. Army Officers. 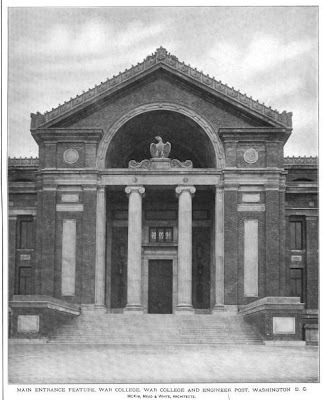 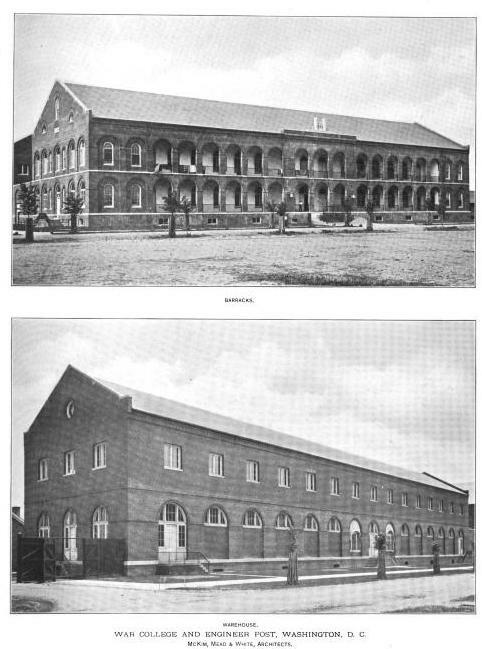 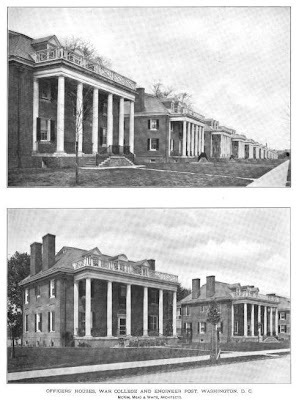 From 1903-1946 the building housed the Army War College which eventually moved to Kansas. 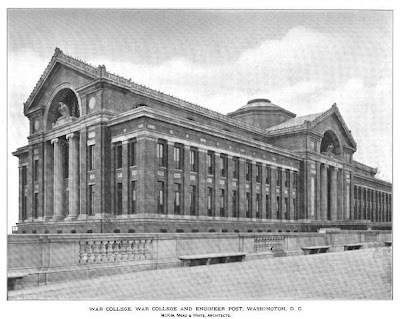 It has been home to the National War College since then. 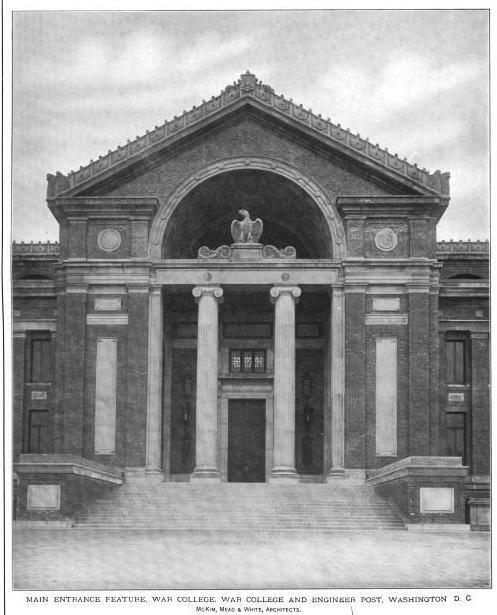 Click HERE to see Roosevelt Hall on bing. 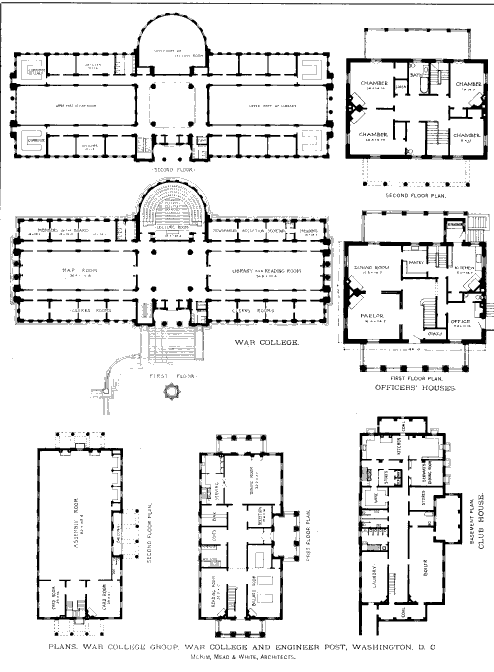 Labels: McKim Mead and White, School, Washington D.C.